Synopsis: A brutal mugging leaves Grey Trace (Logan Marshall-Green) paralyzed in the hospital and his beloved wife dead. A billionaire inventor soon offers Trace a cure -- an artificial intelligence implant called STEM that will enhance his body. Now able to walk, Grey finds that he also has superhuman strength and agility -- skills he uses to seek revenge against the thugs who destroyed his life. Now that Saw and Insidious screenwriter Leigh Whannell seems firmly into his directing phase, it’s time to pay homage to the cinematic tradition of his homeland of Australia with the weirdo slasher-mystery hybrid Next of Kin. In the film, a young woman finds herself in charge of an old folk’s home with a murderer lurking around. Featuring a startlingly young John Jarratt (from Wolf Creek) as the frequently shirtless romantic lead, Next of Kin features some classic bonkers scenes involving keyholes, bathtubs, and towers of sugar cubes. Synopsis: D.C. (Johnny Knoxville) is the crackpot owner of Action Point -- a low-rent, out-of-control amusement park where the rides are designed with minimum safety for maximum fun. Just as his estranged daughter Boogie (Eleanor Worthington Cox) comes to visit, a corporate mega-park opens nearby and jeopardizes the future of Action Point. To save his beloved park and his relationship with Boogie, D.C. and his loony crew of misfits must risk everything to pull out all the stops and save the day. If we’re talking theme parks that will murder the hell out of you, it’s time for that long-necessary critical reevaluation of Final Destination 3, AKA the one with the killer roller coaster. Sure, it’s not as good as parts 1 or 2 or 5, but it has its own charms, including the tanning bed scene, Mary Elizabeth Winstead, and the truly creepy and terrific song “Turn Around, Look at Me” by The Lettermen. A lesser entry in the Final Destination franchise is still a blast, for sure. 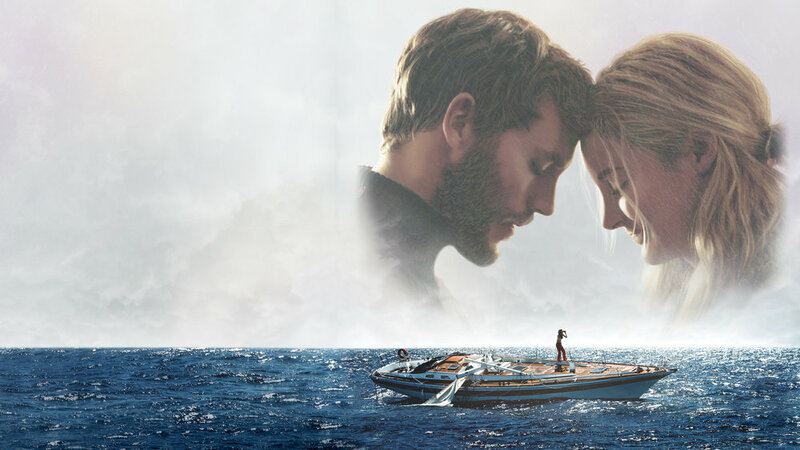 Synopsis: Tami Oldham (Shailene Woodley) and Richard Sharp (Sam Claflin) couldn't anticipate that they would be sailing directly into one of the most catastrophic hurricanes in recorded history. In the aftermath of the storm, Tami awakens to find Richard badly injured and their boat in ruins. With no hope of rescue, Tami must now find the strength and determination to save herself and the only man she has ever loved. There’s just so many terrible things that can happen to you out on the open ocean, but at least Shailene Woodley doesn’t have to deal with a psychotic Billy Zane. 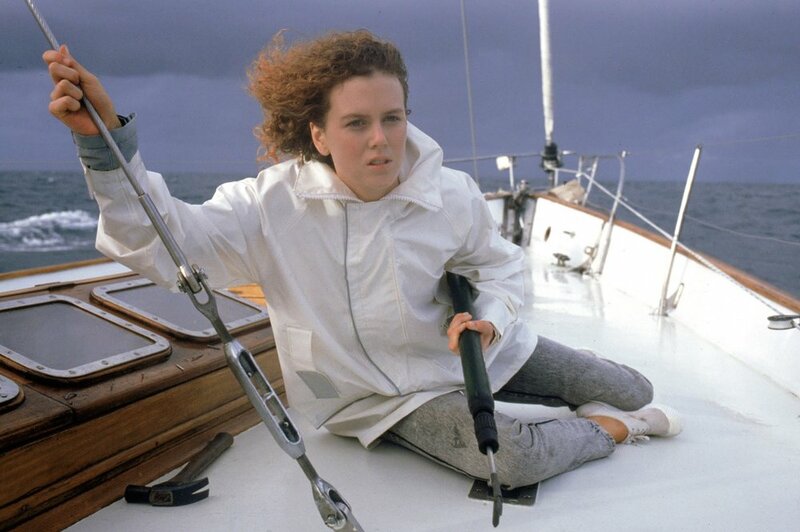 Unfortunately, young Nicole Kidman doesn’t have the same luck in the Aussie thriller Dead Calm, a deliciously tense seafaring thriller that shows the darker side of taking in a castaway. Synopsis: When Ellen passes away, her daughter's family (Toni Collette, etc.) begins to unravel cryptic and increasingly terrifying secrets about their ancestry. The more they discover, the more they find themselves trying to outrun the sinister fate they seem to have inherited. Because Toni Collette should be in all movies, this double feature honors one of her best roles period, let alone in the horror genre. Although the focus of The Sixth Sense is on Bruce Willis and Haley Joel Osment, Toni Collette as Lynn Sear is the lynchpin that holds the whole thing together. Without her, The Sixth Sense might still be just as scary, but it wouldn’t squeeze tears out of you like a lemon juicer, and that’s not a fair trade. Synopsis: A woman known as the Nurse (Jodie Foster) runs a secret, members-only hospital for criminals in a riot-torn, near future Los Angeles. I think the obvious choice for hotel horror would probably be The Shining or even Motel Hell, which are both great films. But I’ve chosen Private Parts, an early Paul Bartel film that demands more viewers. It’s a weirdo tale of a young runaway being taken in at an urban motel full of the weirdest, kinkiest, deadliest people you’ll ever meet. It involves blow-up dolls, giallo-esque kills, and a bonkers twist, so if you’re into campy John Waters-esque flicks, this should be right up your alley. Synopsis: Five years, eight months, 12 days and counting -- that's how long Debbie Ocean (Sandra Bullock) has been devising the biggest heist of her life. She knows what it's going to take -- a team of the best people in the field, starting with her partner-in-crime Lou Miller (Cate Blanchett). Together, they recruit a crew of specialists, including jeweler Amita (Mindy Kaling), street con Constance (Awkwafina), suburban mom Tammy (Sarah Paulson), hacker Nine Ball (Rihanna), and fashion designer Rose (Helena Bonham Carter). Their target -- a necklace that's worth more than $150 million. The fact that pop musicians Rihanna and Awkwafina are sharing screen time in this blockbuster reminds me of the much less successful Trick or Treat, which featured acting performances by none other than Gene Simmons and Ozzie Osbourne. What more do you need to know than it’s a rock ‘n roll slasher starring those two? Check it out right now, if you already haven’t! Synopsis: Elastigirl (Holly Hunter) springs into action to save the day, while Mr. Incredible (Craig T. Nelson) faces his greatest challenge yet -- taking care of the problems of his three children. A sequel that focuses more on the father character from the original? Don’t tell me Stepfather II doesn’t rise immediately to mind. It doesn’t? It’s just me? Well, suit yourself. Synopsis: Three years after the destruction of the Jurassic World theme park, Owen Grady (Chris Pratt) and Claire Dearing (Bryce Dallas Howard) return to the island of Isla Nublar to save the remaining dinosaurs from a volcano that's about to erupt. They soon encounter terrifying new breeds of gigantic dinos while uncovering a conspiracy that threatens the entire planet. Since Fallen Kingdom seems intent on having Jeff Goldblum repeat every line every character ever said in the Jurassic Park franchise, I’m going with Boogeyman II, an infamous clip show sequel which adds maybe a half hour or so of new material to flashbacks to the original film, a bananas Ulli Lommel classic featuring an evil possessed mirror. Synopsis: FBI agent Matt Graver (Josh Brolin) calls on mysterious operative Alejandro Gillick (Benicio del Toro) when Mexican drug cartels start to smuggle terrorists across the U.S. border. The war escalates even further when Alejandro kidnaps a top kingpin's daughter to deliberately increase the tensions. When the young girl is seen as collateral damage, the two men will determine her fate as they question everything that they are fighting for. Any devoted 80’s slasher fan needs to venture outside of the oversaturated American and Canadian markets. Since Sicario is spending some time with murderers in Mexico, why don’t we check out an early entry into the genre from that particular region? Death of the Jackal features a trench-coated killer with a blade hidden in his cane, and are you not already sold? Synopsis: After draining his life savings to enter a team in the Rucker Classic street ball tournament in Harlem, Dax (Lil Rel Howery) is dealt a series of unfortunate setbacks, including losing his team to his longtime rival (Nick Kroll). 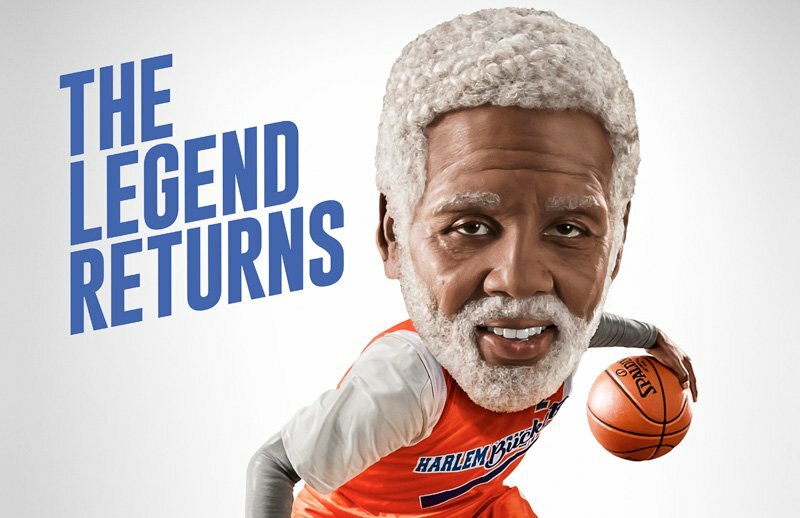 Desperate to win the tournament and the cash prize, Dax stumbles upon the man, the myth, the legend UNCLE DREW (NBA All-Star Kyrie Irving) and convinces him to return to the court one more time. The two men embark on a road trip to round up Drew's old basketball squad (Shaquille O’Neal, Chris Webber, Reggie Miller, Nate Robinson, and Lisa Leslie) and prove that a group of septuagenarians can still win the big one. OK, maybe Wes Craven’s Deadly Friend isn’t quite ready for a critical reevaluation. 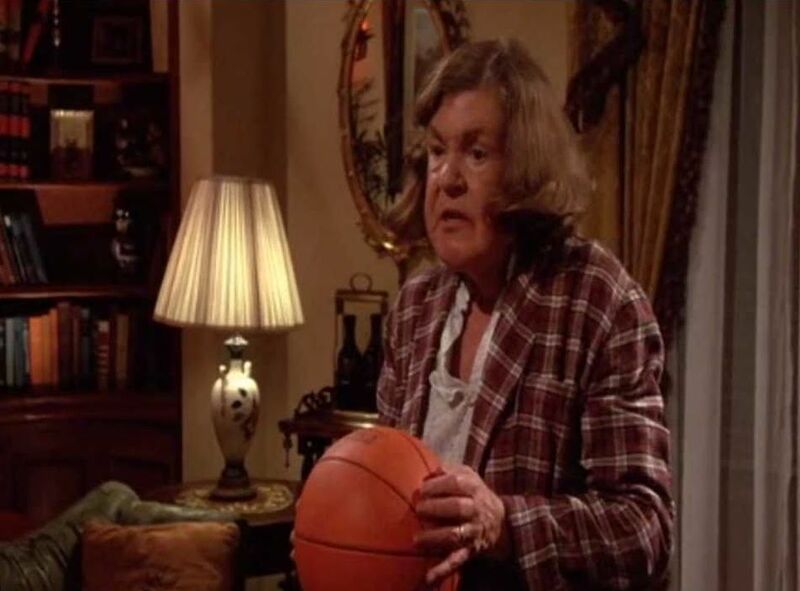 But there’s an iconic scene where Kristy Swanson explodes an old lady’s head with a basketball, and it was either this or that basketball court scene from Final Exam, so I’m doing you all a favor.